Your Yoga practice is going well, you feel stronger and more confident. You’ve seen some creative, perhaps difficult poses and you want to learn how to do them. You think to yourself, these poses might be too challenging for you. But we have these classes on the schedule precisely because anyone can do them with the right preparation, unless there is a real medical reason to prevent you. Strength + Alignment classes are an excellent choice for students of all levels. Our Strength + Alignment Class focus will be on the basic principles of using alignment to build strength. With alignment you will find greater effort and ease in your yoga practice; think about working with building blocks and stacking them carefully so your structure stands securely. We work from setting a strong foundation first. Emphasis is on developing resiliency and stamina of the physical body through a series of poses that allows you to build confidence and skill. Poses may be experienced in more than one way, using the effects of gravity on a pose to get a better understanding of the mechanics of a pose; think about trying out the shape of a pose while lying down, then flipping it over with the memory of the pose without the body weight. Together we will break the poses down to explore their basic mechanics before building them up again. Vinyasa 2 is a dynamic practice that will move you with the power of steady, synchronized breath as in Vinyasa, but it's also a place for those who already have a strong yoga practice to challenge themselves a little more. 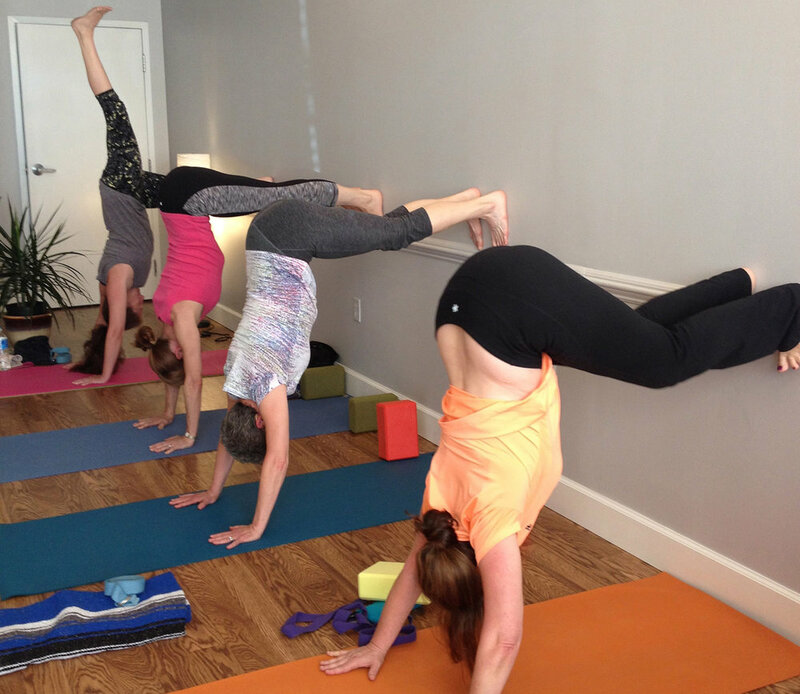 Expect this class to be a notch more intense than Vinyasa Flow, and enjoy more work with arm balances and inversions, always taught with careful prep, cueing, and breath awareness for optimal safety.